This will be the new beginning for Bengal Warriors team and its coach K.K. Jagadeesha in pro kabaddi league (PKL) season 5, starting on July 28. "I did not get enough opportunities as a player because the Indian army did not let us play in the first two seasons. I played in the third but I was in the last phase of my career and focused my attention on coaching, "Jagadeesha said. Manpreet Singh is the another person who has the distinction of participating in Pro kabaddi League as player and coach. Jagadeesha has started his journey of PKL as a coach with a systematic approach. "I have been coaching the army teams for the past five years, I want to share my knowledge with the players, we have been here in our Tolly club for the last 40 to 45 days and we will take care of every aspect of the training We have not drafted injured players. Our maximum attention is on fitness. We are also working on team combination, skill and improvement. " Since the fifth season of pro kabaddi league will continue for a long time due to the addition of new teams, Jagadeesha has prepared a devised a plan to help the Bengal Warriors players till the end till the end. "We have kept options including rivals for every situation. 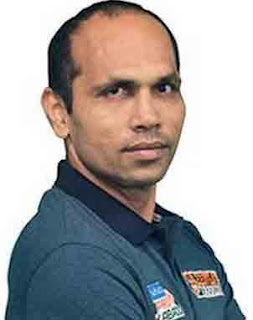 In contrast to past years, when Bengal was a defense oriented team, we have a good balance of attack and defense, we should be able to reach at least the finals in this season of pro kabaddi league, "Jagdish said with a note of confidence.